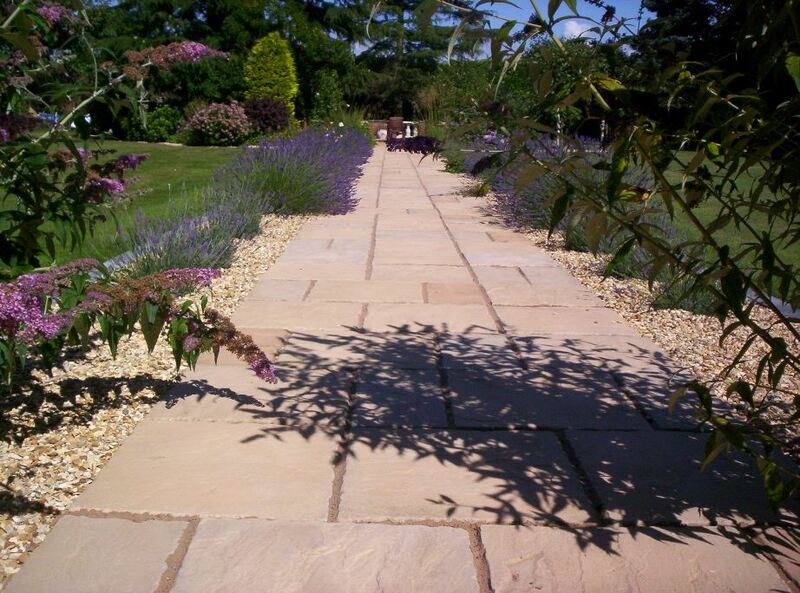 A beautiful top grade natural stone paving slab (also known as Indian stone paving slabs) when only the best will do. 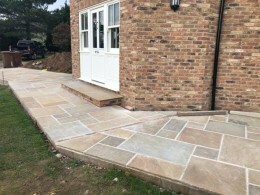 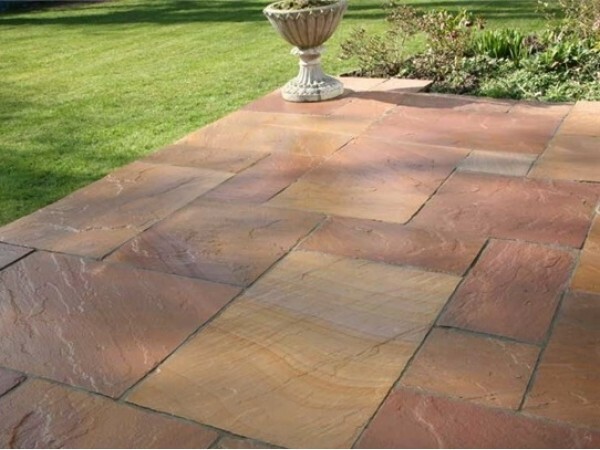 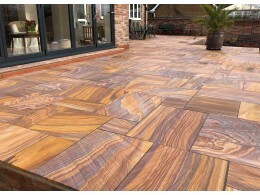 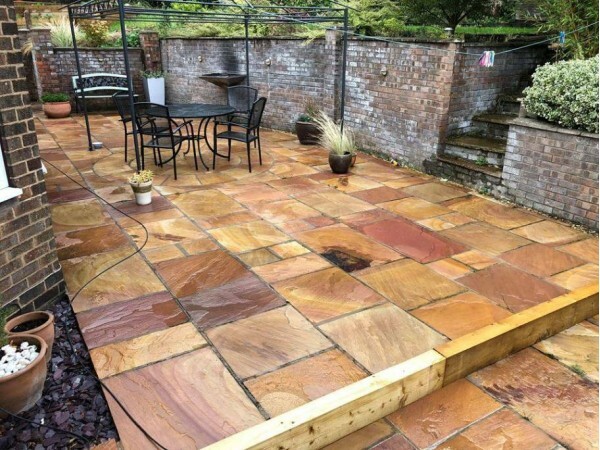 Calibrated to 22mm thick for ease of laying, each paving slab is unique with tonal variations of warm reds, oranges and buffs on a differing riven profile. 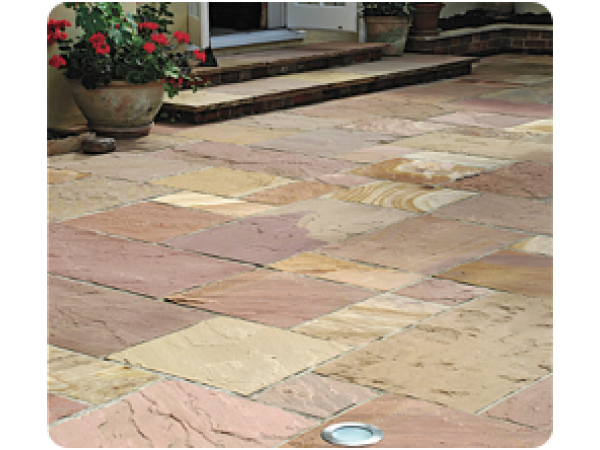 Reduced - 25% Off while stocks last. 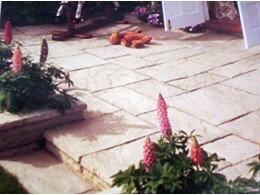 Patio Packs 20 square metres coverage* reduced to £389 including Vat. 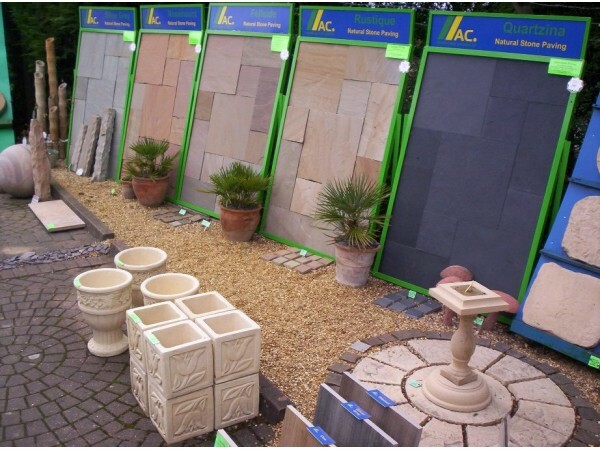 The lowest price in the UK - Guaranteed. 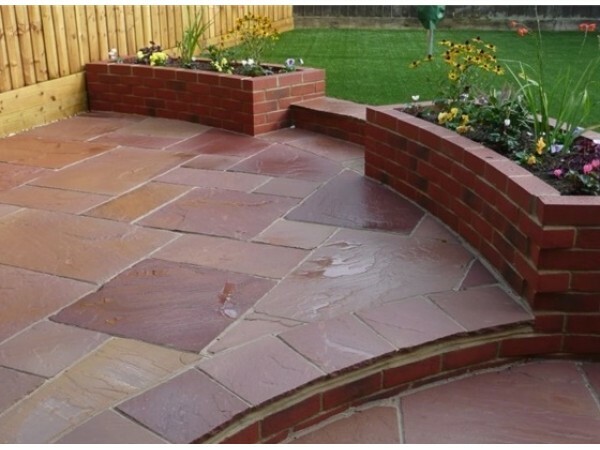 Price Includes Vat with free delivery available with Hiab offload up to 40 mile radius.